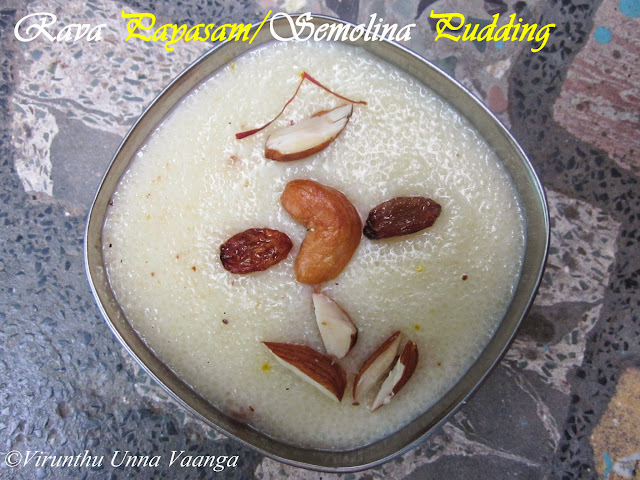 Hello my dear friends, its long time I posted on Sunday. 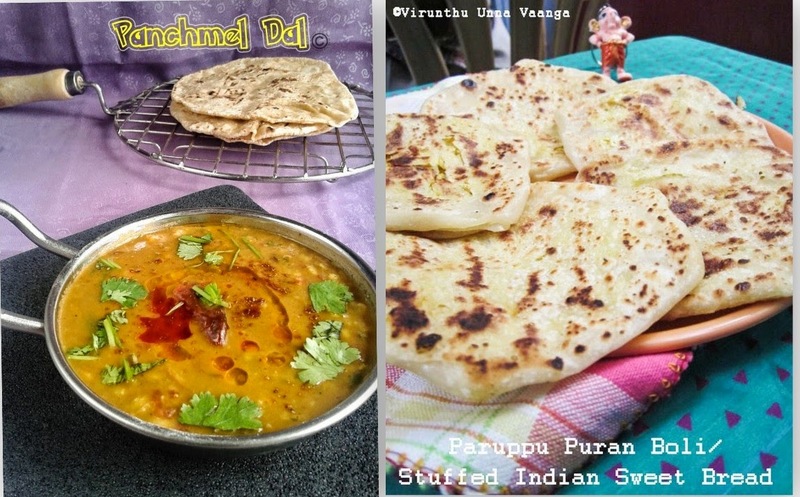 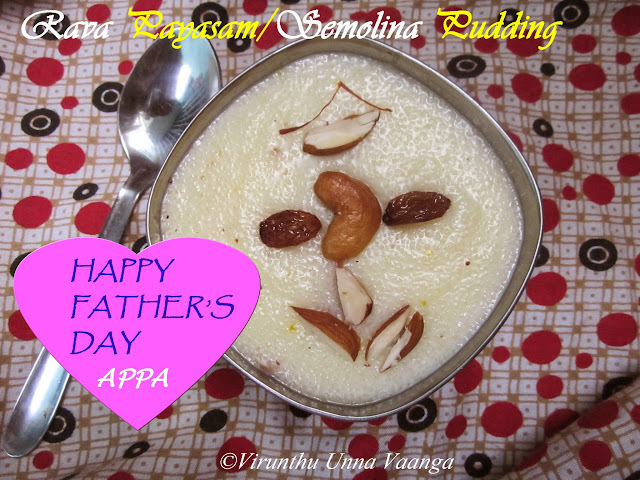 Usually I don't post any recipes or roundups during weekends but the Sunday is very special and here to post for my lovable APPA (DAD)!!! 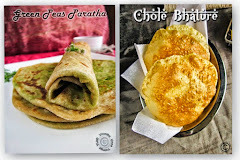 I really get very hard time for blogging nowadays as I am quite busy. But I want to post today for “FATHER’S DAY”. 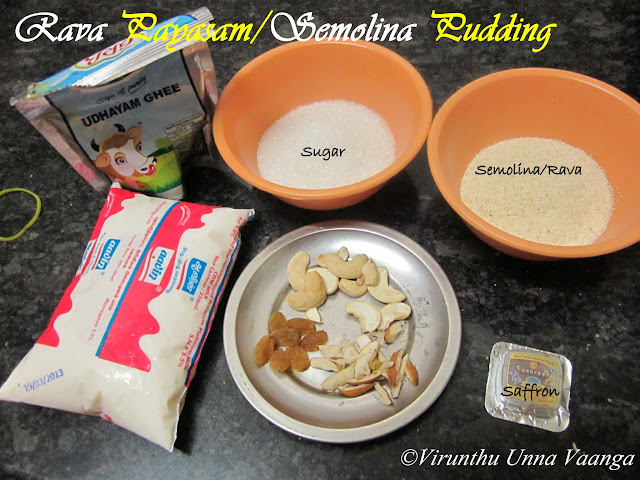 Rava payasam/Semolina Pudding why I said pudding it’s like pudding texture if we diluted with milk it’s like kheer. 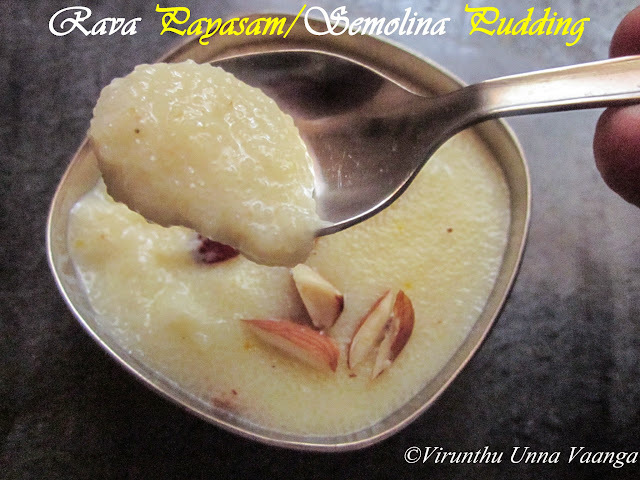 Moreover its taste was very fabulous and right time to enjoy the payasam now. 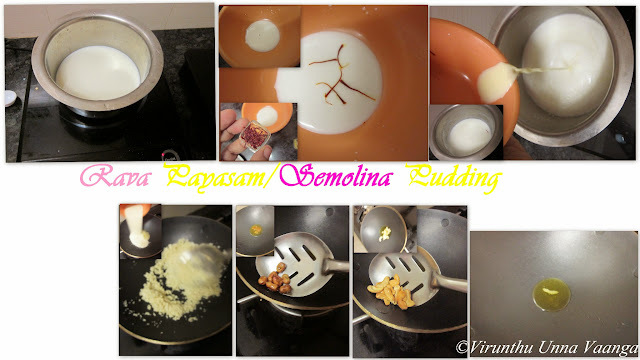 Boil milk with 100 ml of water and take 2 Tbsp of milk and add 4 strands of saffron and keep it aside. 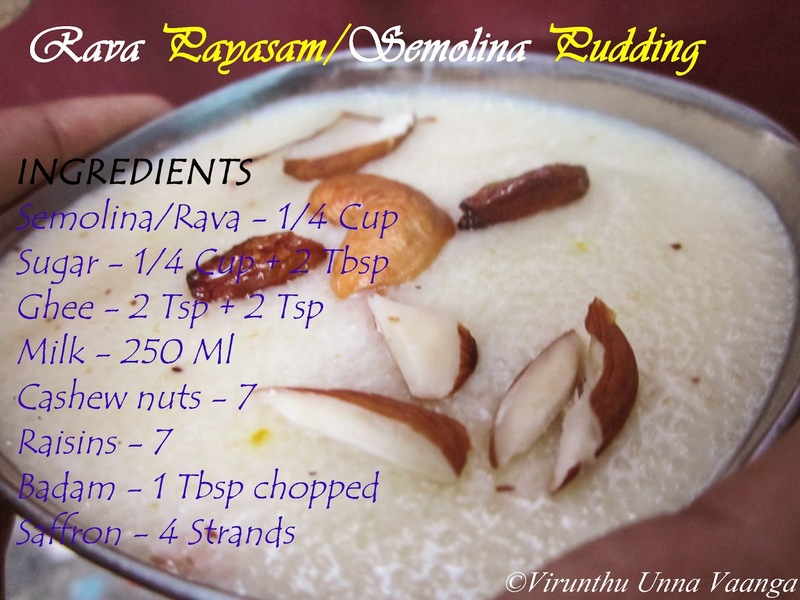 Heat ghee in a pan fry the cashew and raisins and keep it aside and in same ghee or extra Tsp of ghee add rava and roast it for 1 minute on low flame. Now transfer the rava to the boiling milk and cook it for 5 minutes and now pour the saffron milk to it and stir well. 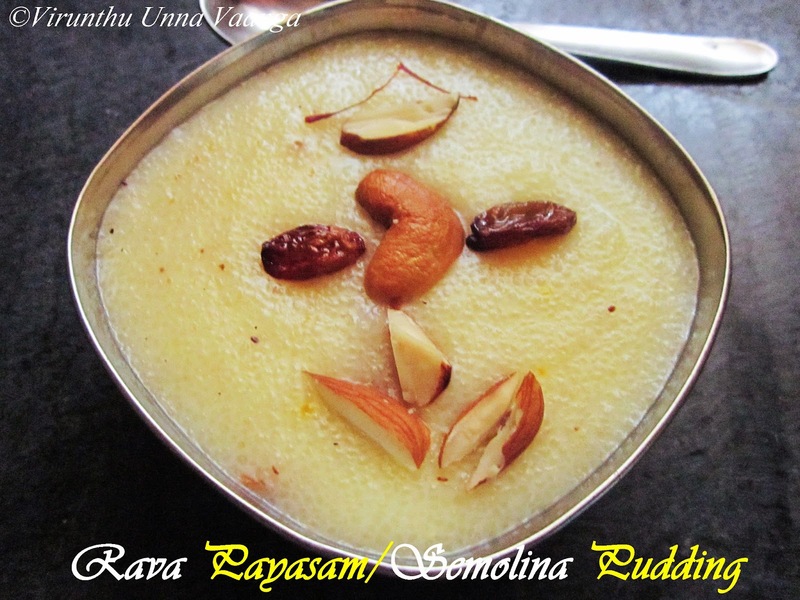 After cook the rava add sugar and cook for 5 minutes and switch off the flame. 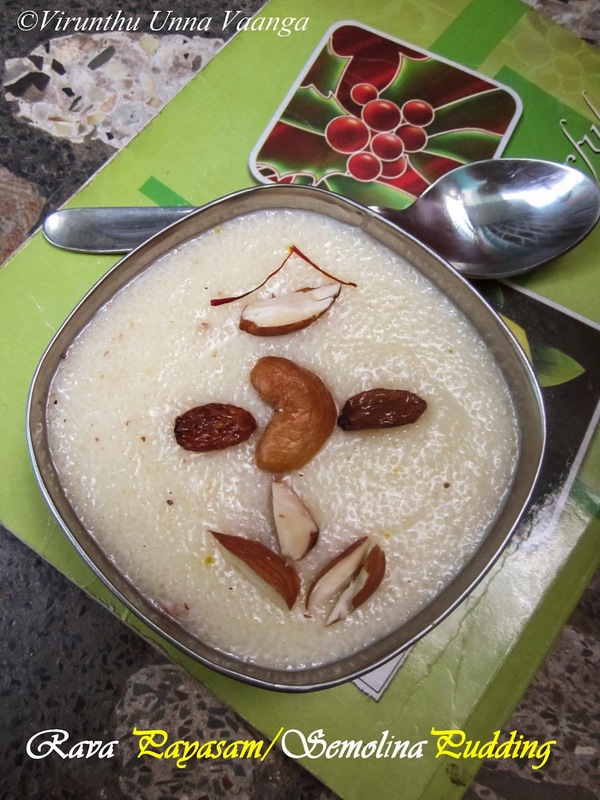 Serve it hot or cold with garnished almonds and cashew nuts. YUMMY N CREAMY RAVA PAYASAM!!! 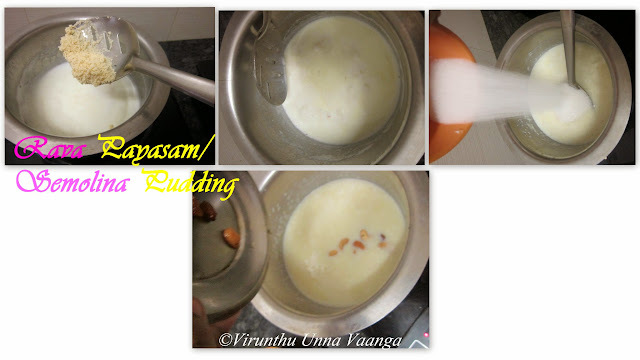 Yummy payasam looks delicious.Thanks for drop in my place viji.